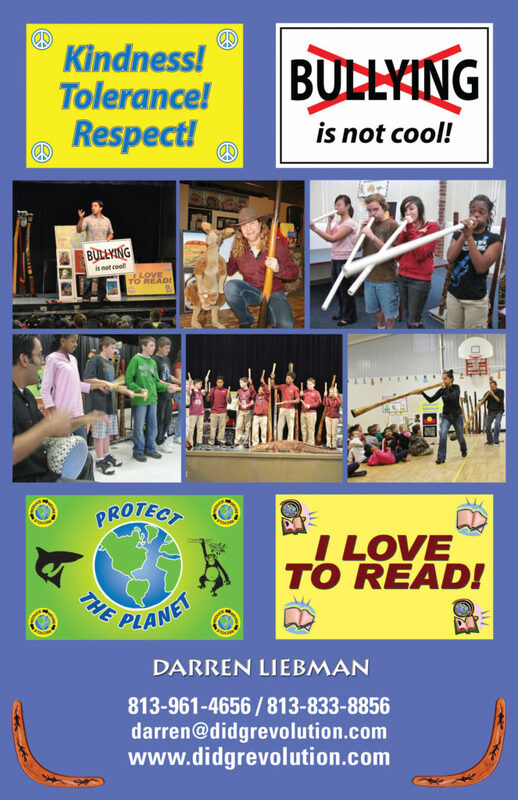 Australian music, culture, literacy, character building, anti-bullying, environmentalism, audience participation. 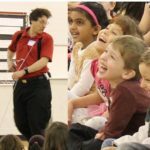 Interactive shows and workshops! 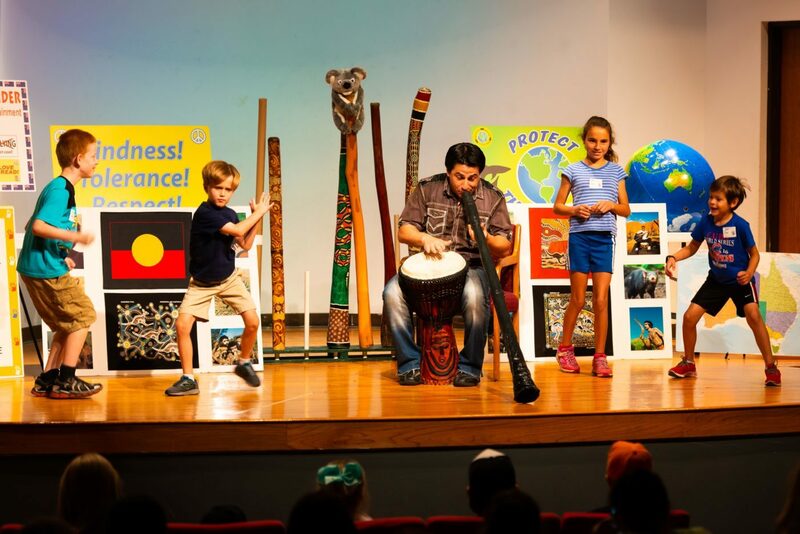 Didgeridoo Down Under: Australian Music – Culture – Character Building! 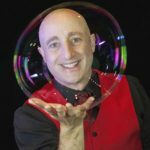 We weave Australia-themed cultural arts, core curriculum, character building, anti-bullying, motivational speaking, and audience participation into high-energy shows and workshops for all ages! G’day! 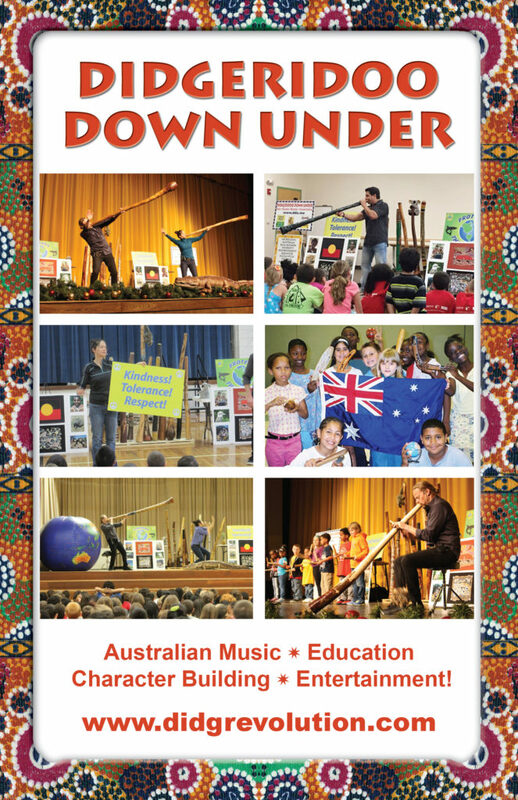 The Didgeridoo Down Under show is a unique fusion of Australian music, culture, art, science, literacy development, comedy, character building, anti-bullying and audience participation. The didgeridoo has been played by Aboriginal Australians for at least 1,500 years, and is known for its otherworldly sound. But DDU is much more than music. 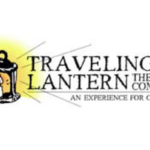 It’s interactive, educational, motivational and super fun for all ages. DDU also supports The Dignity Act and Common Core Standards. 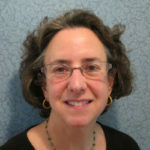 DDU will motivate your students to act with kindness and acceptance, and to respect diversity … to get excited about learning and reading … to think creatively and imaginatively … to appreciate world music and art … to stand up against bullying … to protect the environment … and to become better global citizens! 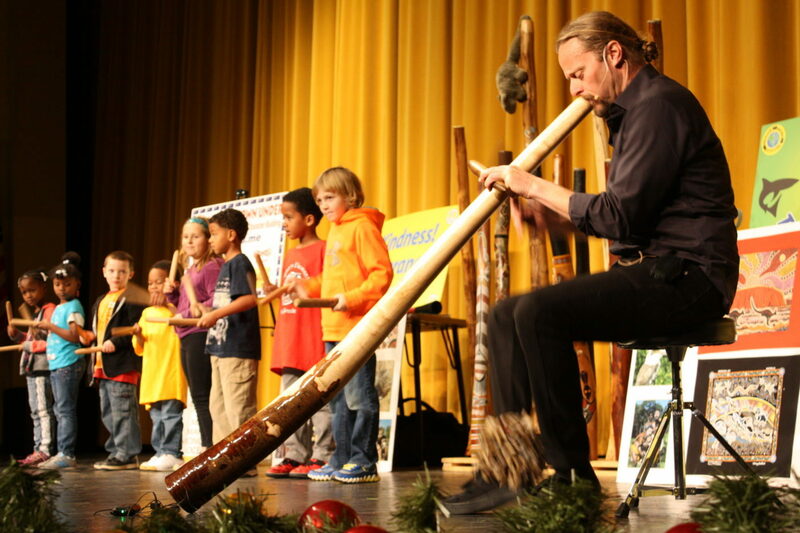 DDU performers play many exotic didgeridoos throughout the show, demonstrating various playing styles and upbeat rhythms. They also use a multitude of props – including motivational signs, vocabulary lists, maps, globes and puppets – to deliver educational lessons and empowering messages. 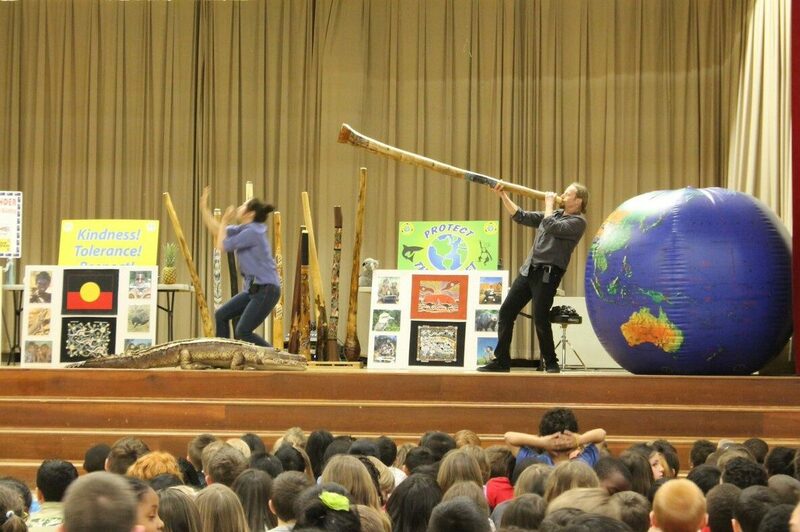 Didgeridoo Down Under is one of the most popular K-12 enrichment programs in the U.S. 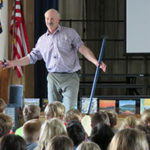 Since 2004, we’ve presented 7,000+ programs at schools and other venues in New York and nationwide. The Aussie Funk Jam is a totally interactive and hands-on workshop. 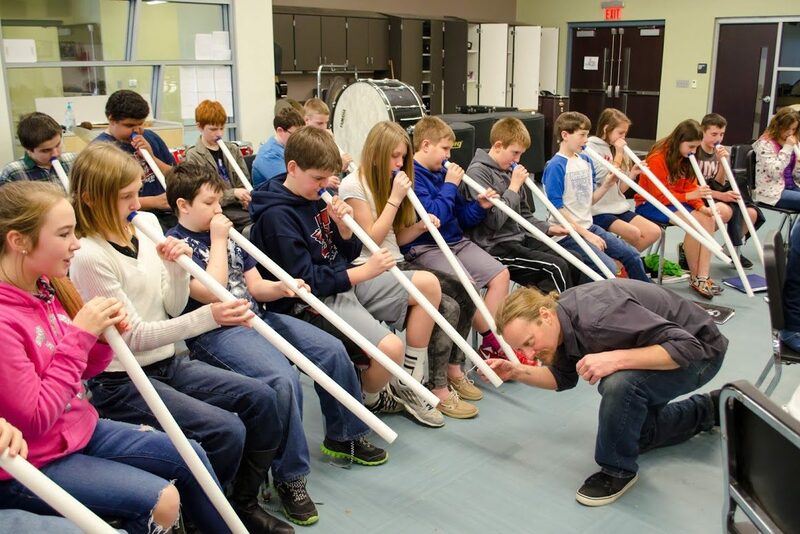 Participants use our beginner didgeridoos and … learn how to drone and use sound variations such as tonguing and animal calls … learn the fundamental concepts of circular breathing … learn about Australia and Aboriginal culture … learn how to craft and paint their own didgeridoos (on their own time) … partake in an uplifting jam session! The Funk Jam works best as an accompaniment to the DDU show. It’s also a great team-building event for teachers. 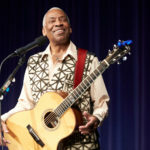 Participants will be mesmerized, inspired and motivated as they enjoy a one-of-a kind multicultural music experience. The didgeridoo has been played by Aboriginal Australians for at least 1,500 years, and is known for its otherworldly sound. It is both simple and challenging to play. It’s physically and mentally relaxing (due to the breath work involved). It’s a gateway to educational lessons in geography, history, science, culture, art and reading. And most of all, it’s extremely fun to play!